Serving Jacksonville, Jacksonville Beach, Ponte Vedra Beach, Orange Park, Amelia Island and Fernandina. The Law Office of Ian C. Hurley, P.A. Divorce and family law issues can be stressful and emotional. When families in the Jacksonville, Florida area need compassion, skill and experience, they can turn to the Law Office of Ian C. Hurley. We genuinely understand what’s at stake and how much of an impact the outcome can have on every member of your family. Our law firm covers every aspect of family law, from your rights before getting married to any entitlements resulting from a divorce. The main concern of our firm is to assure our clients are informed, comfortable and prepared so they can expect the results they desire in a cost-effective, low-stress manner. We dedicate full, considerate attention to our clients from the very beginning of their case, until well after it is resolved. We clarify the rights they have and simplify immediate and long-term effects of the options before them. We maintain compassionate and constant communication with our clients, helping them reach the most amicable agreements for all parties involved, while also having the experience and skills to be firm and aggressive in pursuing the needs of our clients when necessary. Ian, a family lawyer in Jacksonville Fl, was born in Annapolis, Maryland and has called Jacksonville home for most of his life. A 2001 graduate of Florida State University, he received his Bachelor of Science degree in Finance and was a member of Alpha Kappa Psi and Phi Alpha Delta fraternities. Ian earned his Juris Doctorate degree from Florida Coastal School of Law in 2005, where he was a Certified Legal Intern for the Department of Children and Families, Child Welfare Legal Services. 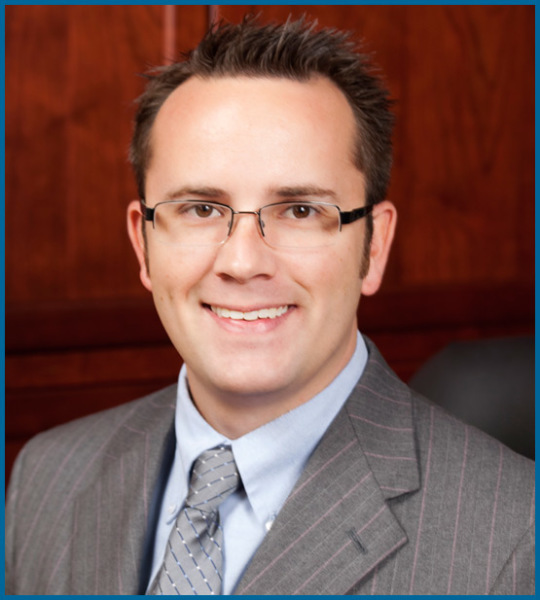 After joining the Florida Bar Association in 2007, Ian worked for several years in Jacksonville family law firms. Ian is a Barrister member of the prestigious Florida Family Law American Inn of Court and has previously served as an executive committee member. Ian is admitted to practice law in the United States Middle and Northern District Courts. Ian is proud to have opened his own family law firm where he has successfully handled the dissolution of marriage, paternity, dependency, injunction and domestic violence cases. He and his wife Nita reside in Jacksonville Beach where they enjoy spending time at the beach.